Is Nico Rosberg's victory in the first Formula One race of 2016 a portent of the season to come? Lewis Hamilton is chasing a third championship in this year's Formula One driving for Mercedes and a fourth title overall after a win with McLaren in 2008. But he couldn't overcome a shaky start and finished behind team mate Nico Rosberg in Sunday's opening race in Melbourne. 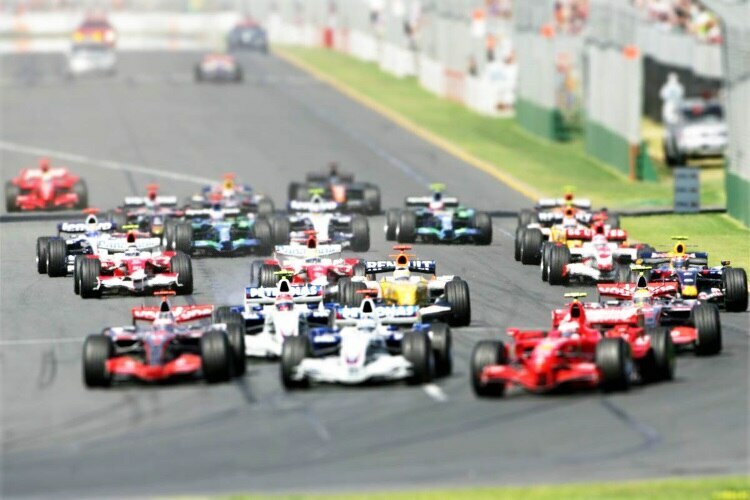 While a Mercedes win was predictable enough, the bookies probably endured an uncomfortable afternoon as the world champion stuttered away from pole position on the start line of the Australian Grand Prix, from which he was unable to recover over the course of 58 laps. Hamilton displayed his usual mastery of the track in pre-season testing, but Sebastian Vettel also put in some quick laps in his Ferrari leading up to Sunday's opening race, while Williams also put on a confident display. So far however it looks as though Mercedes will once again dominate the podiums, using a one stop strategy that pushes its vehicles to the limit. Sunday marked Rosberg's fourth win in a row, counting last season, and marks the first time Hamilton has not led the driver's championship since September 2014. However a brake issue with his Mercedes nearly saw Rosberg forced to retire after passing the halfway mark. Fortunately the problem rectified itself and Rosberg went on to claim his win with an eight second lead over his team mate. The German driver's fierce and famous rivalry with Hamilton is likely to provoke some interesting - and fiery - moments as the season unfolds. Hamilton has endless determination but 2016 could see Rosberg emerging from the British driver's shadow at Mercedes. Sebastian Vettel in Ferrari came a close third to Hamilton after a blistering start, with possibly a spin-off on the penultimate lap being all that stood between him and the second place trophy. However the most dramatic moment of the race came from Fernando Alonso, who was incredibly lucky to escape unharmed from a horrific 200mph crash 17 laps in. He surely owes his life to the mechanical excellence of his McLaren team and Formula One's strict safety regulations, with the carbon fibre hub the only part of the car to remain intact as footage showed the rest of vehicle scattered over the track at Melbourne's Albert Park. The accident was the result of a run-in with Mexican driver Esteban Gutierrez going into turn three. While Gutierrez spun off safely into the gravel, Alonso was unable to maintain control, performed a double somersault and hit the track barrier with considerable force. Miraculously, he tottered out of the wreckage presumably shaken up and bruised but ultimately unharmed and waved to the crowd before the two drivers indulged in a conciliatory hug. Analysts estimate the force of the impact at 46g and the crash caused a 20 minute delay in racing. Formula One pundits were all impressed by the performance of young British driver Jolyon Palmer, making his debut with Renault and holding his position with determination and some style. Finishing 11th in one of the slower cars on the track, he is definitely one to watch for future success. Palmer was the GP2 champion in 2014. Another debut at the Australian Grand Prix caught some attention. Haas, a new American team working with Ferrari, managed a very respectable sixth place in its first race with Romain Grosjean at the wheel. Rosberg will take pole for the next race in Bahrain in two weeks' time, having established a seven point lead over his Mercedes team mate. The 2016 Formula One season can be watched on free to view Channel 4 in the UK, with ten live races and eleven shown as highlights.